Have you been in a Car Accident? Are you having trouble with the insurance companies? It’s time to reach out to the leading Car Accident Lawyers in Essex County! The Nutley, NJ based Birkhold & Maider Attorneys at Law will work for you to ensure that you receive appropriate medical treatment, have your medical bills paid and are fairly compensated for your pain and suffering. Our qualified New Jersey and New York Car Accident Attorneys will vigorously fight on your behalf as you recover from your injuries. Insurance companies have one goal; to get you, the injured party, to accept the smallest settlement offer possible for your Car Accident. Any settlement or award an injured person receives needs to compensate that person for pain and suffering, past lost wages, future lost wages and potentially current and future medical expenses. Consulting an experienced Car Accident Lawyer in Essex County at Birkhold & Maider for a free case evaluation can help you better understand the process and make the process less stressful while you recover from your injuries. Many injured parties do not know that in the State of New Jersey, there is a two-year statute of limitations for personal injury claims, but that there are also exceptions to that rule. For example, there are certain situations in which a written notice of claim must be filed within 90 days in order to protect your rights. Do not delay- our free case evaluations make the decision to contact a professional Car Accident Lawyer at Birkhold & Maider, a no-risk decision. New Jersey is a no-fault insurance state. That means that should you be involved in an auto accident, your own insurance company is the one responsible for paying any medical bills related to the accident, no matter who actually caused the collision. Should you not have your own automobile insurance, your medical bills may be payable through the policy of a relative you live with, or even through the insurance policy for the vehicle in which you were in at the time of the accident. Coverage for medical bills in a car accident is paid through a provision called Personal Injury Protection, or PIP. An Essex County car accident lawyer at Birkhold & Maider can assist in determining the correct insurance company to provide PIP benefits to you, along with determining the correct PIP policy limits. That’s just the beginning of the legal considerations governing auto accidents in New Jersey. There are also situations in which you are involved in a Car Accident with an uninsured or underinsured driver. It is important to know your rights in these situations, which may include a claim against your own insurance company, the host vehicle’s insurance company or even against the State of New Jersey. 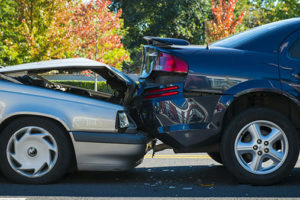 The Essex County Car Accident Lawyers at Birkhold & Maider have years of experience in getting injured persons the compensation they deserve following a car accident. We serve clients in many cities and towns across New Jersey and represent clients in Superior Court throughout the State of New Jersey. Were you driving for work-related reasons? If so, you may also be able to bring a Workers Compensation claim in addition to your claim against the other driver. Please follow the links above for more information regarding Birkhold & Maider LLC’s experience in helping injured workers throughout the workers’ compensation process. Contact the Attorneys at Birkhold & Maider Today. To learn more about our firm, we invite you to review our practice areas, attorney information, or contact us online for a free case evaluation. Please also feel free to call Birkhold & Maider directly at 973-947-4670 or stop by our office at 189 Franklin Avenue, Suite 1, Nutley, NJ 07110 during business hours.